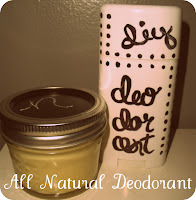 la vie DIY: DIY All-Natural (easy & effective) Deodorant. DIY All-Natural (easy & effective) Deodorant. I have purchased many, many natural deodorants in my lifetime. For as long as I can remember, I've had an aversion to chemicals. I've blogged about it before, but it just didn't seem healthy to me to consume all of the unnatural food we eat every day (most processed 'food' contains things which aren't even food!) and then slather a bunch of chemicals on to our bodies to top it off. I read somewhere once that the average woman puts about 500 different chemicals on herself each day. And we wonder why our country has such high cancer counts. There has been a lot of change in that regard. Companies are trying to create more natural products since people are finally demanding them, but even then not everything they put out is actually good for us. A lot of things are "naturally derived" ... well... come on now, isn't everything naturally derived at one point?? And then it goes to the lab and gets tinkered with and becomes unsafe. I laugh every time I see a label that says "naturally derived ingredients"... and then I make my own. I've been making my own health and beauty products for as long as I can remember, and I'm committed to sharing them with you as time goes on. There are some things I haven't learned how to make yet (make up, for instance... we're trying mascara this week!) 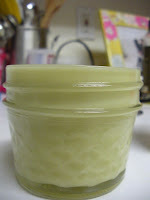 and I can give you great suggestions for buying those items (faerie organics are awesome- click!). If you're ever curious, just ask. I've tried a lot of products, I know what works and what doesn't. One product that consistently hasn't worked for me is deodorant. I've tried a lot of brands that just failed in massive ways. I'd elaborate, but that would be gross. Tom's of Maine was probably the most disappointing. In light of that, and having lost so much money (natural deodorant is beyond unnecessarily expensive), it was time to make my own. I thought it would be either a) really complicated or b) really ineffective. Neither assumption was true. Making your own deodorant is SO easy and the recipe I'm sharing is extremely effective. I tried it against a leading store bought brand (men's old spice- Matterhorn) and the natural held up better at the end of the day! Amazing! SO, what I'll give you are three different options ... good, better, best. You can decide based on your own needs what you're willing to do. I use 'best' & 'better' and they're great. I haven't tried good, but it seems like it would be pretty nice. 'Good' was adapted from THIS RECIPE. ** if you use the hair oil, only use 10 tbs instead of 11. If you use coconut, go ahead and use more. Mix everything together in a bowl. 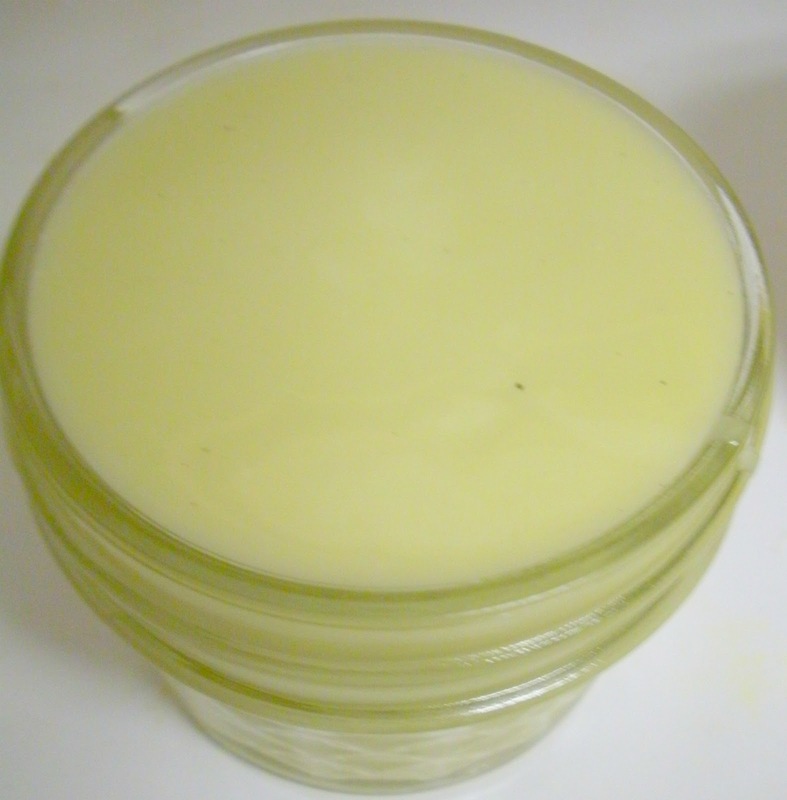 You can either transfer it to a glass container and apply it by scooping a little bit into your hand and applying to your underarm OR you can pour it into an old deodorant stick and use as normal. 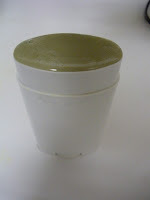 I always put mine in the fridge to "set" for a few hours after transferring it to the container of choice. Warning: because of the oil content, this will naturally separate when the weather is warm or when placed in sunlight. If you're leaving it in a jar, that's fine. Just stir it up before using. I don't really prefer that, though. I suggest putting it in the fridge every few days to make the oil remain solid. If you're putting it in to a stick, you may want to always leave it in the fridge during warmer months, and refrigerate it for a couple of hours every time it starts to seem a bit less solid all year round. Personal preference? I like the tub version better. The stick seems like it would be easier, but you'll still need to rub it in. The recipe works better when stored in glass, and I haven't found any deodorant sticks that come in a glass tube. Let me tell you what each ingredient does, as well, that may help you decide which level you'd like. Baking soda: absorbs wetness and traps odors. You can add in more essential oils if you'd like (rose hips, peppermint, orange... mmm), but unless you're extremely familiar with what essential oils do, I wouldn't mess around too much. People tend to be a little fast and loose with them because they're natural. I also want to add that I keep all of the ingredients mentioned in this post on hand all the time. If you're interested in making DIY healthy/beauty products, it may be a good idea to invest in glycerin, coconut oil, jojoba oil, a few essential oils and things like that. You'll use them over and over again in so many products. Same thing goes for borax, washing soda and white vinegar if you want to make cleaning products (should I do some posts about those?). Lastly, let's talk about storage. Think of all the cute things you could do with the stick version? If I had a printer, I would print out THE cutest labels for it. I used a little fruit preserve jar for the tub version. Next, I got on board with the chalk trend and painted the top of the tub with chalk board paint. This sounds so neat! I can't wait to try it. Where did you find the ingredients? I know I can get a few of these at Whole Foods but i've never seen the clay.